Hi and welcome to the Books Between Podcast! I believe in the power of stories to inspire us and to change our lives for the better. And I know that being a reader encourages us to be more empathetic and to be better citizens in our world. And I want to help you connect kids with those amazing, life-changing stories and bring you inspiring (and fun!) conversations with the authors and educators who make that magic happen. Every other Monday, I bring you book talks, interviews, and ideas for getting great books into the hands of kids between 8-12. I am Corrina Allen – a mom of two tween girls, a teacher to 23 fifth graders, and I’ve been planning a baby shower this week! My brother (who is also a teacher) and his wife (whois a librarian) are expecting their first this April. So – of course, I had to throw them a picture book themed baby shower. This is Episode #44 and today I’m sharing with you a conversation with author Jack Cheng about his debut middle grade novel (and the MG at Heart February Book Club pick) See You in the Cosmos! And then I’ll end with a Q&A. 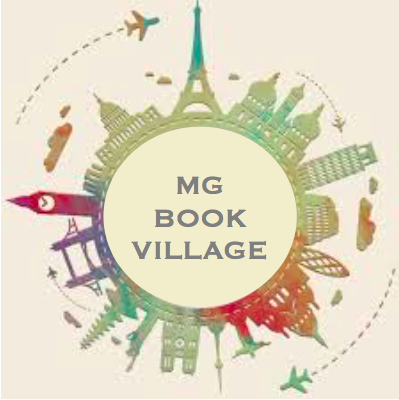 So – there’s lots going on at MGBookVillage. It’s where all the transcripts of this podcast can be found. And – Kathie and Jarrett and Annaliese and I have been cooking up something pretty awesome for March. So stayed tuned! CA: For our listeners who haven’t yet read the novel, can you tell us a bit about Alex’s journey in See You in the Cosmos? CA: The premise of this book is that the entire thing is recorded on Alex’s Golden iPod. What were some aspects of writing the novel that were challenging because of that decision? CB: Did you ever consider writing it another way? CB: Alex is such a pitch-perfect balance of being really naive but also really precocious and shouldering a lot of adult responsibility. How did you strike that sweet spot in his voice between a kid who’s shouldering adult responsibilities but also being really clueless? CB: How did you figure out how to assign time logs to the recorded entries? Did you read any of them aloud or was it all random guesswork? CA: Where you a fan of Carl Sagan’s Cosmos? JL: Yours is the second recently released kidlit book I’ve read in the past few months that features the Voyager Golden Record and spacecraft centrally. (The Care and Feeding of a Pet Black Hole is the other one.) Carl Sagan said that “the launching of this ‘bottle’ into the cosmic ‘ocean’ said something very hopeful about life on this planet. I’d love to know what YOU think it is about the Golden Record project, and the launching of it out into space, that so captures and ignites the imagination, and why it might be a powerful thing for young people in particular to learn about. CB: Have you ever built a rocket? And what kind of research did you do? CA: I just loved your podcast – See You on the Bookshelf – where you interview all the different people who helped make See You in the Cosmos as reality – from your agent and editor and copyeditor to the audio people. Why did you decide to create podcast to document the journey of your novel? CA: Did I hear that See You in the Cosmos was originally written as an adult book? If so – what changes did you make to angle your writing more toward middle grade? CB: You tackle some serious topics in this book. You touch on child neglect, mental illness, running away, infidelity… What made you decide to explore these issues in this book? Why do you think it’s important to address difficult, mature topics like this in middle grade? CB: Do you feel like you’ll continue to experiment with unusual formats in your work in the future? CA: One of the goals of this podcast is to help educators and librarians inspire kids to read more and connect them with amazing books. Did you have a teacher or librarian in your life who helped you grow into a reader? CB: What role did reading have on your decision to be a writer? This week I’m going to end by addressing some questions and comments that I have been getting a lot over the last two weeks. In the wake of the most recent school shooting, at the Stoneman Douglas High School in Parkland, Florida on February 14th – many many people have emailed and messaged me to express their anguish and to simply ask, “How is everyone doing?” I know a lot you listening have been reaching out to me and to each other and hoping that maybe something’s different this time. Every time I record a show I start by saying that I am a mom and I am a teacher. And living in this society that glorifies gun violence and seems to tolerate it against its most vulnerable, I want to tell you what that means. So as a mom, it means that my husband and I send our girls to school and we hope and feel lucky when they come home safely. As a mom, it means that your heart shreds a little more every time your child comes home and tells you where they hid during that day’s drill. And as a mom, it means all too often I need to pull over to the side of the road on the way home from work to dry my tears at the latest news of yet another shooting of a child – in a school or in a neighborhood where all they’ve done wrong is wear a hooded sweatshirt. But as mom, you pull yourself together so you can listen to your children tell you about their day without dimming their smiles. And I am also a teacher living in a culture where we and our students have become prey. And I want to tell you what that means. It means that twice a year my students and I practice a lock down in case a shooter is in the school. They hide. Try to be quiet. And I shut the lights and hover near that locked door and plan how I might react if it wasn’t a drill. How could I use my body to shield theirs. Is there something nearby I can grab and use as a weapon? A stapler? Should I have grabbed that screwdriver out of the science kit? And I know it would never stop them. But it might just slow them down, a little. So that some could escape and there might be one less family to suffer that unimaginable grief of losing a child. But being that shield would mean that my own children would be left without a mother. And yet – all teachers I know do it willingly and gladly. Because we protect our kids – no matter what. That is the deal. And I know my own teachers would have done the same. I know my daughters’ teachers would do the same. They’d protect those lives with their own. But our society has broken that promise of protection. And it is a heavy heavy burden placed on the shoulders of our children and our teachers. And it is too much. And I’ve even been asked – well, hey – what if you had a gun? Couldn’t you save more kids? First of all, a handgun is no match for assault weapon. And even a highly trained professional only averages an 18-25% accuracy rate in that kind of situation. When I think of where those other bullets might go in a school? For that reason and for a thousand more – NO! If you want to arm us, arm us with more counselors who serve students and not just sit in meetings about testing! It’s already too much. But in return for that heavy burden on our children and their teachers – the drills, the anxiety that comes with every news story and every false alarm (and there are so many more of them than you know) – we expect action to end this brutal, soul-crushing gun violence. Action from our representatives, but also action from YOU. Please. Because our government WILL act. Once we are LOUD enough. And make them feel uncomfortable enough. And it’s really no surprise to me that the generation who grew up reading about Malala are at the forefront of this. They cut their teeth on the stories of brave young activists. They have finally gotten some momentum, so let’s help them. I’ve called my representatives three times a week, and I’m going to the March for Our Lives on March 24th. So I am begging you – please if you live in the US. – please help. Call the people who claim to represent you and I’ll see you at the march.